All hail Susan’s Queen of Carthage! 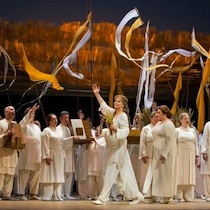 This past holiday season, Susan was “the big news” of the Metropolitan Opera’s star-studded Les Troyens revival, when she “triumphed in her first Met performance as Didon (Dido), the Queen of Carthage” (New York Times). Now the mezzo rings in the New Year with a number of important firsts. January 16 sees the launch of her first duo recital tour, when she teams up with celebrated soprano Renée Fleming for performances at L.A.’s Disney Hall (Jan 19), New York’s Carnegie Hall (Jan 27), and four more of the nation’s foremost venues. 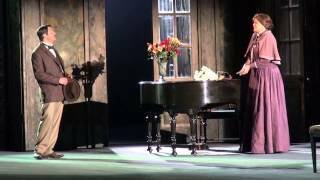 Next, the Grammy Award-winner makes her long-overdue Dallas Opera debut, singing her first Tina in a new production of The Aspern Papers by Dominick Argento (April 12-28). And a second role debut marks her return to Santa Fe Opera, where she headlines the company’s season-opening new staging of Offenbach’s comic masterpiece The Grand Duchess of Gerolstein (June 28–Aug 24). Accompanied by renowned pianist Bradley Moore in a program of all-French salon music, Susan will be in her natural habitat, for she is widely recognized as “unbeatable in French repertoire” (Time Out New York). The six-city tour will visit San Francisco’s Davies Hall (Jan 16), Los Angeles’s Disney Hall (Jan 19), Palm Desert’s McCallum Theatre (Jan 22), Lyric Opera of Chicago (Jan 24), Carnegie Hall (Jan 27), and Boston’s Symphony Hall (Feb 3).